Hello everyone and thanks to SAS for existing ! Please forgive me if the information I am looking for is presented elsewhere, at 65 yo I have no more time to read everything! Well, what's the problem? Simple: I am completely lost before the number of mods, patches, updates and addons that swarm here(and even elsewhere). Yet I read all pdf carefully, but in spite of that, I'm not sure I understood everything and be able to mount everything in the right order. You must take me for a baby. You did a lot of didactic work, I apologize but I am blocked. Perhaps the simplest way is to tell you quickly what my goals are. 1: to be able to play "Dawn of Flight"
2: turn the classic IL2 but with the wonderful sounds heard in youtube videos. Currently I have a clean version il2 patched in 4.12.2m with the SAS mégapatch and I also have downloaded the torrent "BAT 3.3 Pathfinder" but it is not yet installed. That's where I am and I hope someone can tell me in two words (or three) what I have to do. See you soon and thank you in advance. I have you by 8 years and I got it working fine, patience is required though and after each update, run the game and insure the version number is correct. Sorry, it is not possible to explain in a few words but all the necessary links are here below. Be advised, you can play the Dawn of Flight module after step 2 but each subsequent expansion pack adds more content. Forget JSGME, there is nothing there you need. Each Expansion Pack below has a huge amount of information attached and links to manuals you may or may not read at your leisure. What is the full B.A.T. Install Sequence to this point? 1. 1946 version 4.12.2 - you have this installed, right? DOWNLOAD ALL FOUR PARTS + EXE AND PLACE INTO A COMMON FOLDER. I was right to hesitate but I had not read wrong: it was necessary to download many things yet ! Currently I'm only in step 1 and I have the step 6 in the box ! So I still need to complete steps 2-3-4- and 5. That will take me the end of the winter(joke inside). I thank you very much for taking the time to answer me so completely. I had all of this information but they were scattered in many places. Now it's a "all in one" explanation. Thanks to you, thank you so much. PS: I'll come back here when I'm done to say all is working. Thank you to you too Geoweb35. A precious video indeed ! If I test the game after installing correctly step 2, if I play "Dawn of Flight" a moment, can I continue the installation after or am I forced to restart all since de step 1 ? Just to ensure a successful install, ensure that your IL-2 BAT game is NOT installed into your C:\programs folder. The game needs to be anyplace else but not in the programs folder. Also, I recommend that before installing BAT on top of your ver. 4.12 game, make a copy of the game. This is a simple thing as you only need to do is add a new folder outside of your IL-2 folder, name it something like "Clean Il-2 ver 4.12" then return to your current game folder, select all of the contents of that folder (all files and folders) select copy, return to your "Clean Il-2 ver 4.12" folder, then paste everything into that folder. The end result will be two complete Il-2 ver 4.12 games on your system. Now here is the reason why - we all at some point will break the game and the easiest thing to do is start over. You now have your clean game ready to go, no need to re-install and patch to 4.12 because it is already there. Secondly, you may decide that you are interested in another MOD (such as VP Mod) or decide to go to ver 4.13. Now you can add these versions to your inventory with ease. Keep in mind - never change your "Clean Il-2 ver 4.12" folder, this is your foundation to your IL-2 world. When you want to add a different version of the game, all you need to do is create another folder, name it as you like, copy the contents of the clean game folder and paste it into the new folder. It is in the new folder where you make your changes. Thank you for these precious tips DougW60. 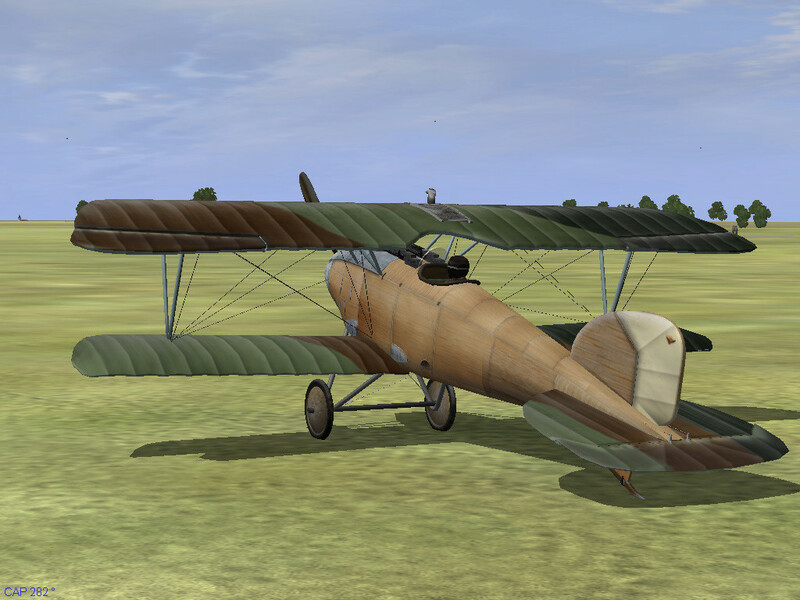 OK, now I have finished downloading everything and I have a clean Il2 4.12.2m saved, all on a D:/. I must now read the manuals but I think I will start by installing "Step 2" and playing the game to see. To be continued ... but thank you very much to everyone. Back to report: step 2 installed and works perfectly ! No problem, thanks a lot to all. 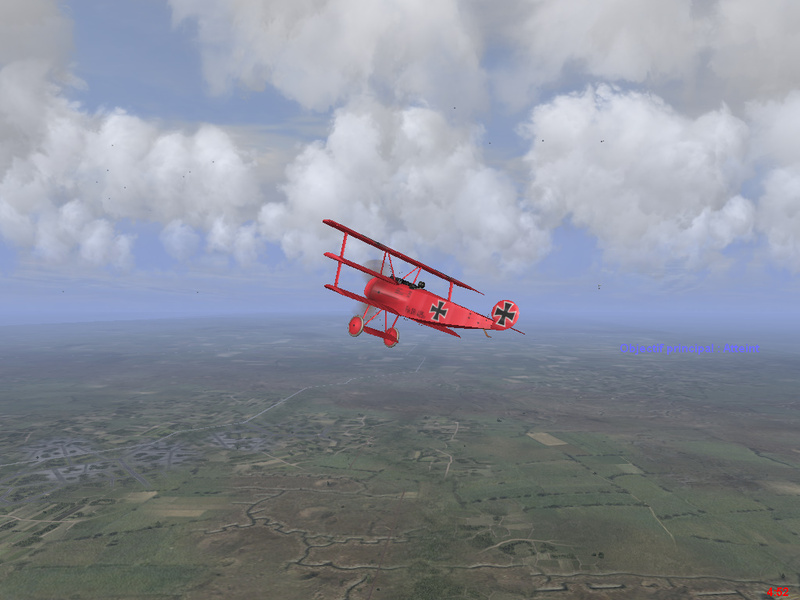 I have only made a small flight in Albatross DIII. All seems perfect but I was surprised: there is no skin other than the default. Maybe I need to install Step 3-4-5 and 6 to get all skins ? I will read further pdf. Anyway, thank you again to all for your gentle and precious assistance. Finally full patched and first flight over. Thanks again to your help. All seems perfect but I was surprised: there is no skin other than the default. Maybe I need to install Step 3-4-5 and 6 to get all skins ? You can get the WW-1 skins @ M4T and pick the ones you want.